A relaxation which goes beyond sleeping. 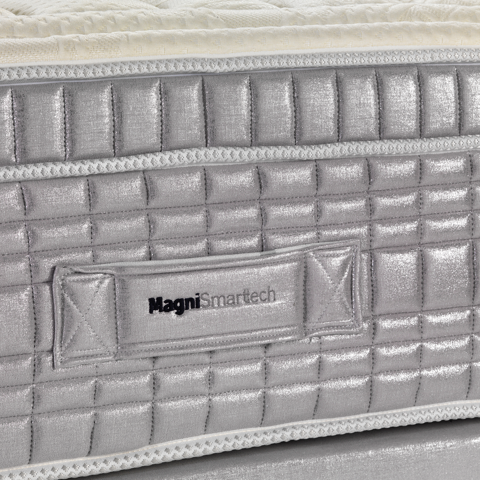 MagniSmartech is a bed system that lets you know the way you sleep, in order to better your life. The technology monitors your personal data, such as: sleeping quality, heartbeat, respiratory rhythm, movements, body temperature and sleeping duration. MagniSmartech can detect and register in real time, the data related to your room, in fact it is able to detect the temperature of mattress and the room, the brightness and the level of noise in the surrounding environment. Reading, sleeping, muscle relaxing, leg regeneration. 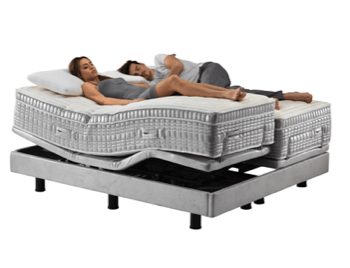 For each need a different positioning of your mattress. The position that optimizes muscle rest. 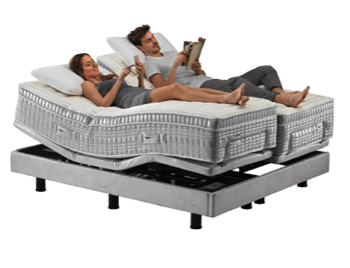 A smart bed that becomes the partner of wellbeing. 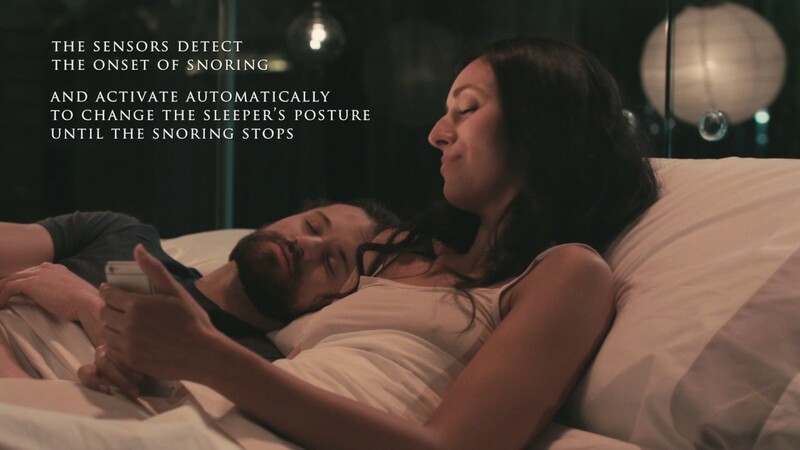 The sensors detect when the snoring starts, activate your posture change to prevent the snoring from continuing. It is possible to choose a light diffusion in different colors for fostering a profound and personalized relaxation. It is possible to program different types of alarm clocks. The softest types use vibrations, chromotherapy and position change. 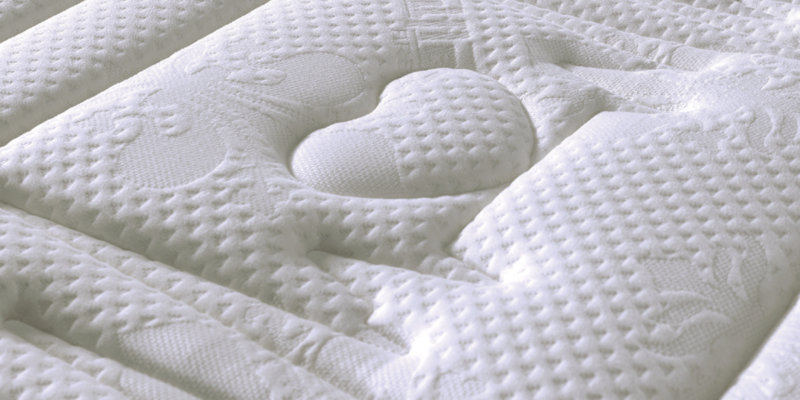 The MagniSmartech mattresses are made with the fiber OUTLAST, a high quality material with thermoregulating properties, that always guarantees a perfect climate for your rest. •	Memoform. Anatomic and cozy, it adapts to your body shape. •	Magnigel. Breathable gel that always keep you fresh and dry. Soft comfort. •	Latex. Flexible and hypoallergenic, elastic and natural. •	Elioform. 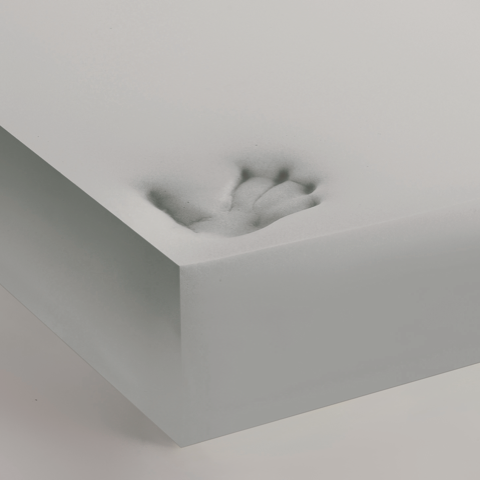 High density foam for a more rigid support. 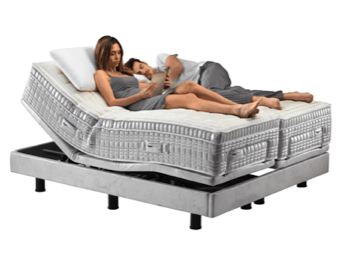 The technology for your rest becomes easier to use. “I care” allows you to monitor the sleep quality of the people you care about. 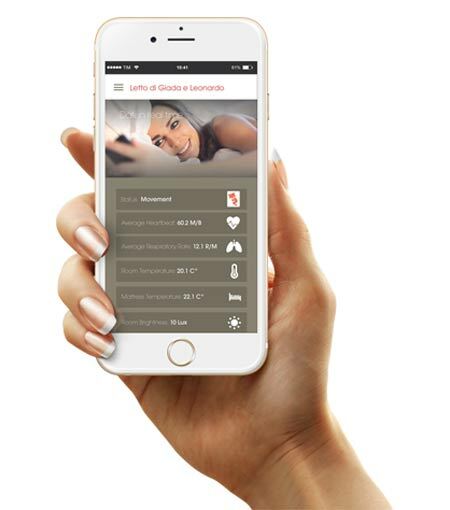 With APP it is possible to consult in real time the data related to the room temperature and to some parameters of your body, such as heartbeat and respiratory rhythm. Within this section of the app you can manage manual chromotherapy modalities or let yourself be surprised and discover the programs already available and designed for you by Magniflex to live a 360° immersive experience. Wake up, Relax and Hot. With My Sleep, it is possible to process the data related to your rest and your room for a set reference period and subsequently consult the registered sessions. A great advantage of MagniSmartech is sending suggestions on how to improve the quality of your rest based on the data detection performed. The section Habits allows you to enter the habits related to your rest, so that the system can get to know your preferences.